Please click on the calendars below for a larger view! 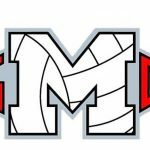 Multiple Teams · Nov 2 GCM Volleyball-2nd Round of Playoffs!!! 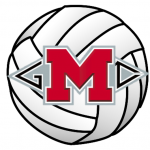 Congratulations to GCM for defeating Beaumont Westbrook in 3 games to advance to the 2nd Round of the playoffs. 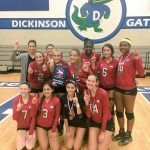 -Area Match Information: GCM vs Pearland Dawson When: Thursday, November 3, 2016 Location: Pasadena ISD Phillips Field House 2906 Dabney Pasadena, Texas 77502 Time: 8:00 pm Entry Fee: $5 across the board Come out and support GCM Volleyball! Wear Red! 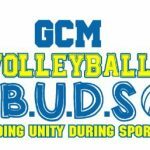 Multiple Teams · Sep 2 1st Volleyball B.U.D.S Game a Success! 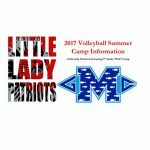 The Patriots traveled to Dickinson Thursday, August 18th to compete in the 40 team varsity volleyball tournament. 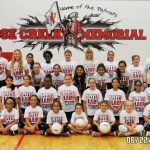 On Thursday, met up against Brazosport and defeated them 25-17 25-10, sending the Patriots to the next round versus PNG. 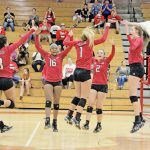 GCM and PNG had already faced off once this season, falling in the favor of the Lady Indians in the Huffman Tournament. 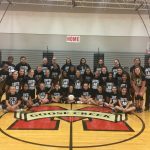 Multiple Teams · May 5 Jaci Chambers Signs!!! 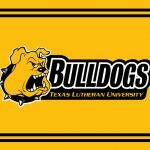 Jaci Chambers signed a letter of intent to play volleyball at Texas Lutheran University! Congratulations and Good luck, Jaci!